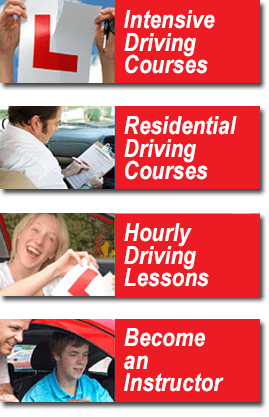 We have had many years of practice and are confident that we offer a professional package for people wanting to learn quickly away from the stress of big city roads. The only thing we have not included is lunch time and evening meals or the cost of getting to us. Your instructor for the course will meet you at the station (or another point if preferred) and take you to a quiet place to start from. What we do next depends on your course duration and standard of driving but usually after a break for lunch where you can stretch your legs, they will then do some more tuition and at the end will drop you off at the accommodation. After a good nights sleep and breakfast (usually with others on a driving course) your instructor will collect you from the accommodation and return you daily until the final day.